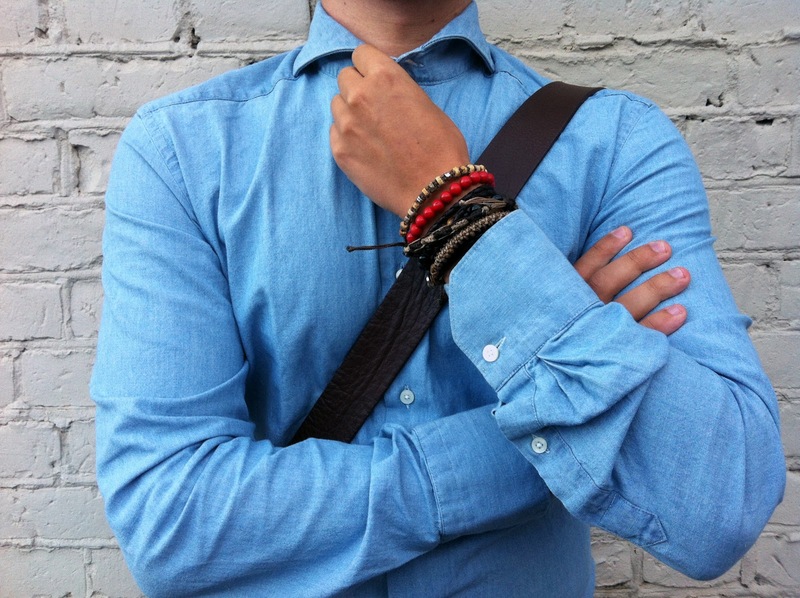 Chambray, the ultimate summer shirt. 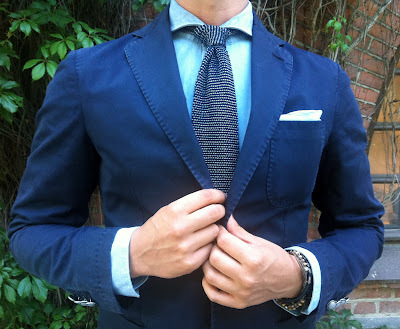 This plain weave cloth that has its origins in the 16th century France, first woven from flax (a type of linen) but nowadays mostly from cotton, offers its wearer a lightweight and soft fabric perhaps best used in work wear inspired clothing. For simplicity in this entry for my Blogspot the word chambray will refer to cotton chambray. I personally think it is one of the best more casual fabrics, especially for summer. Often found in button-down shirts featuring possible chest pockets and other distinctive work wear and street style features. I personally own just one chambray shirt, with a cutaway collar and none of these pockets, but I don’t have anything against them. 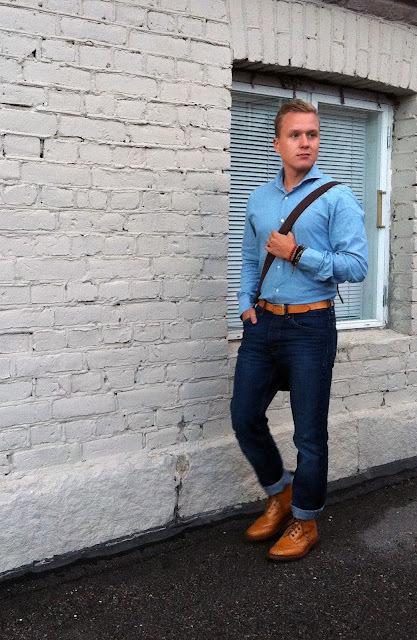 In fact, I have been searching for a quality dark colored button-button chambray shirt for a long time, without really finding what I need yet. In any case, chambray shirts come in many shapes, sizes and colors, all equally possessing the lovely texture and feel. I prefer pairing them with knitwear, more casual odd-jackets (fits perfectly with my L.B.M. navy patch pocket cotton jacket) or just by themselves, as seen in the pictures.